Cream butter in mixing bowl on low speed. If you have a paddle attachment, use it. If not, then make sure that butter is extra soft, but not melted. Add in cream cheese and beat until smooth. 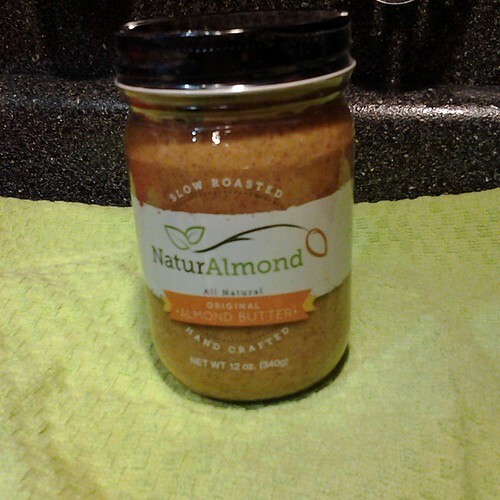 Add in almond butter for 3 minutes on medium speed. Add in vanilla and almond extract and continue mixing. Dial back down to low speed, and then add in the confectioner's sugar slowly. Mix until light and fluffy for about 5 minutes. This frosting is great for chocolate cupcakes, vanilla cupcakes and brownies. I have been smothering Red Velvet Oreos in the frosting. It's delicious!